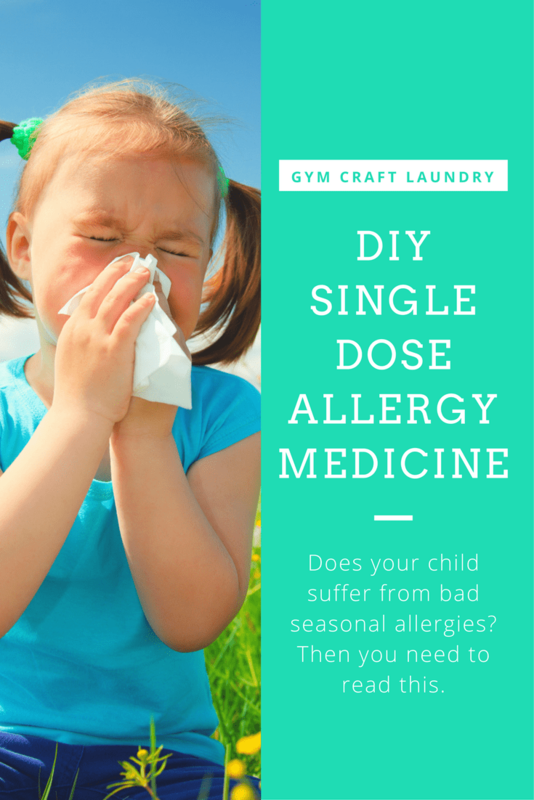 Do you have a child with tons of allergies? Are you a mom that carries single dose allergy medication in your purse “just in case”? My daughter recently visited an allergist and underwent the dreaded allergy skin test. We already knew she was allergic to a bunch of stuff; the hives are an “alert” that is impossible to miss. As I was telling the doctor all of the things she’s allergic too, his eyebrows went up. I get that reaction a lot. Let’s just say that if she wore a bracelet that said each thing she is allergic to, then you wouldn’t be able to see her arm. My daughter’s pet dander allergy is the worst! She has to carry around an Epipen because of dander, not the food allergies. Her food allergies are something I do worry about. Dairy, eggs, and peanuts are in most processed food so she rarely eats processed food. Silver lining. Diphenhydramine HCL (Benadryl) is a must have when you have kids with allergies. I love the convenience of the pre-measured single dose packets that can be put in my purse but at approximately $8.00 for a box of only 10 doses, I hate the price. A bottle of generic Benedryl has about 37 more servings for almost $2.00 cheaper! But even using Benedryl instead of a generic is more cost effective than buying Benedryl single dose packs retail. So I decided to come up with my DYI single dose medication packets to go. to make the little plastic pouches to hold each 5 ml dose. I cut about a four inch section off of the plastic roll and sealed two of the sides. I measured out 5 ml (1 teaspoon) and used a medicine syringe to fill the little plastic tubes I made. The I sealed them closed. Voila! Easy peasy lemon squeezy! However, since they are not in the hard plastic that the store-bought ones come in (no doubt the reason for the extremely high price) I placed the packets inside a small tin with a small pair of scissors. Altoid tins would work perfectly for this. I didn’t make very many because I am lazy did not want to worry about it expiring. My son is allergic to bug bites so between the two of them, I have never had a bottle reach expiration! 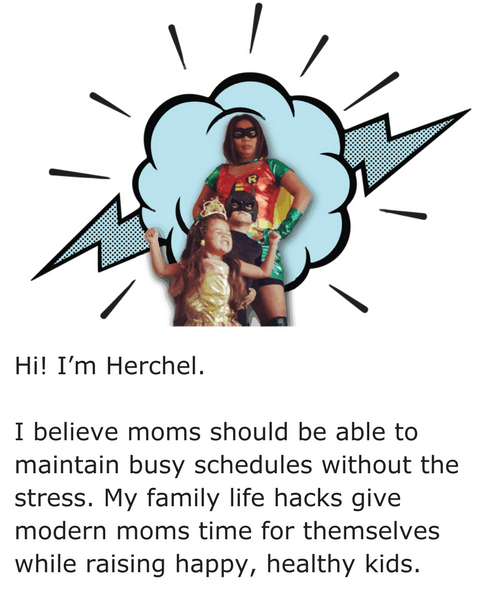 Great idea Herchel! I especially like the thought of putting them in a small tin with the mini scissors (those by themselves could come in handy SO many times!) If you are worried about the expiration dates, you could always write that on the label as well- I noticed you wrote the drug name and dose (smart!) you could always add the expiration from the bottle too, that way you’d have no guessing! I started doing that too, Kim. Great minds….the little sewing kit scissors broke pretty quickly so I replaced them with a new pair of dollar store nail clippers! They are much stronger and get through the foodsaver bags easily. What a great idea! Has she been struggling with allergies since birth? I remember my brother having seriously every allergy ever (and some so random?!) and he outgrew them all but he has a son now and another on the way and so far, so good. But he worries. Tamara recently posted…Where’s My “Get Up And Go”? Yes, she has had them since birth. The peanut and egg allergies seem to be going away. She isn’t likely to outgrow the dairy and dander allergies. What a clever idea! I am so sorry your daughter has to deal with this. Two of my kids had food allergies when they were little, but they outgrew them. And the allergies they have now are minor. I can see why you would go back to school to study health care! We go through a lot of Benedryl at our house too! My middle son is the worst, but all three have “seasonal” allergies-in every season! Our pediatrician also recommends it for helping my middle one sleep sometimes. This is a great idea! Hopefully my children won’t have these kinds of allergies, but I would think you could use this in a variety of ways:) Thank you for linking up to the Bloggers Brags Pinterest Party. I have pinned your post to the Bloggers Brags Pinterest Board. Thanks, Rachel! I also like to make single doses of Tylenol or Motrin when we travel. this is a very helpful idea.with a newborn,I will use this idea when travel.Easy to bring the enough quantity than whole bottle. First off your poor little girl! I’ve never heard of someone needing an EpiPen for dander! Second what a fantastic idea! My son has a sever egg allergy (although luckily he’s almost outgrown it) and carrying a bottle of Benadryl around gets so heavy! Thanks for linking up at Rock-A-Bye Parents Parenting Pointers linky party. Wow, this is super smart! Now I wish I had a Foodsaver! My 2 year old son has nut allergies, so we always keep Benadryl & Epipens handy. I can’t even find the premeasured benadryl anymore, so I need to do something like this. [email protected] recently posted…Obedience in Children and Blogging Money: Pin-It Party #32! My sister in law seals a fat straw with a lighter on one end, fills it then melts the other end closed. I have seen the generic single doses at drugstores but haven’t seen name brand Benadryl single doses lately. This is an awesome idea! I am going to make these for the summer! This is like the best idea I have seen in regards to medicine. I bet it would work well to have already measured out doses of any medication. I am an allergy sufferer too. 🙂 I need to get a food saver. My sister in law uses big fat straws. She melts one end shut with a lighter and fills it and seals the other end. So…I rarely use my foodsaver except for making these kinds of crafts! Can you cut a tiny notch in the side to make them easy to tear open? I wouldn’t unless you can make sure not to puncture the actual packet. It would make a huge mess if it spilled in your purse.